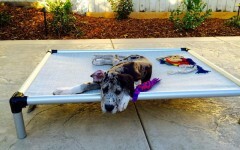 A healthy dose of humor is a great way to bring some much-needed attention to shelter animals. 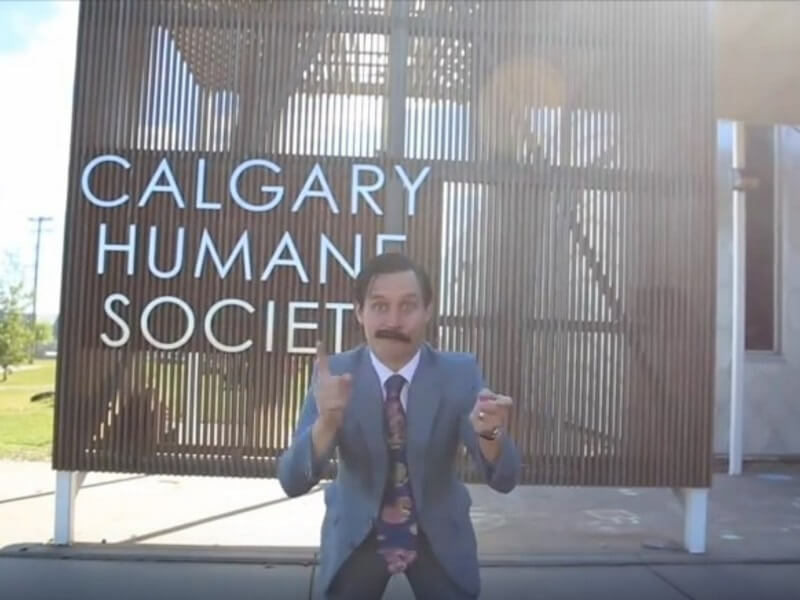 And you have to give the Calgary Humane Society a lot of credit for putting together this hilarious commercial advertising their stable of covetable “pre-owned” cats. Like a slick used car salesman, the tacky suit-clad star of this one-minute video does everything he can to make his inventory sound like a hot, furry deal. “We’re literally bursting at the seams with quality felines!” he crows, while boasting about black cats, white cats, short cats, and tall cats. You can’t help but laugh at the satirical heights the script reaches: “Posting a top speed of 30 miles an hour, this pretty little number is ready to race home straight into your heart!” As if the lounging cat is a 1980s Ferrari just waiting to hit the road and purr like new again. Of course, there’s nothing actually funny about homeless animals, right? Especially considering only about half of the 8 million or so are matched with forever homes. But this Canadian shelter has found a lighthearted, tongue-in-cheek way to help re-home sweet, older pets — the ones who are often overlooked for the younger, newer models — and find them the love they deserve.